I have a self-imposed ban on videogame consoles in my house. It’s not because I hate videogames, it’s because I love them too much. Though it’s getting hard to resist them with all their integrated entertainment features, for the past couple of years I’ve been able to get my videogame fix on my smartphone. 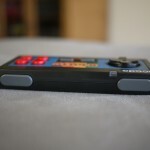 But while touchscreens are fine for most casual games, action and arcade-style titles are hard to navigate without a dedicated game controller. 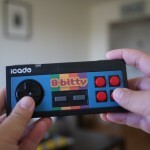 That’s why the ThinkGeek iCade 8-Bitty Retro Wireless Game Contoller piqued my interest. This $30 Bluetooth accessory is compatible with iOS and Android devices, and lets you play select games using a physical gamepad. (The company also offers an iPad Arcade Cabinet for $70 where you can dock your tablet into a shell designed to look like an arcade and use a joystick and buttons to control games.) The idea is a good one, and its design is wonderfully nostalgic. 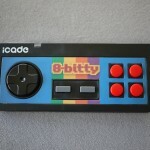 But the limited selection of games just doesn’t make the iCade worthwhile in my book. 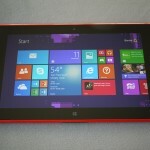 It’s unfortunate, because I had high hopes for this device, especially when I first opened the package. Perhaps overcome with nostalgia, I was quite giddy when I saw the arcade-like colors and retro-style wood paneling on the controller. It felt like a piece of my childhood. In fact, the iCade reminds me a lot of the original Nintendo Entertainment System controller. 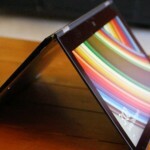 It’s rectangular in shape and was just a touch longer and thinner than my iPhone 4. 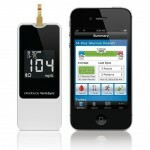 It runs on two AAA batteries and is compact enough that you can easily throw it in a bag to bring with you on trips. There are nine controls on the face and top edge of the device, including a directional pad, four control buttons, select and start keys and two “shoulder,” or corner, buttons. The on-and-off switch is on the back. One thing to note is that the games don’t tell you which buttons do what, so it’s a matter of trial and error. 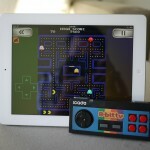 The controller connects wirelessly to iOS and Android devices via Bluetooth. 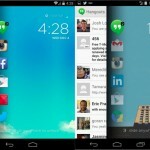 I had no problems pairing with the iPhone 4, Motorola Droid Razr Maxx HD and iPad. 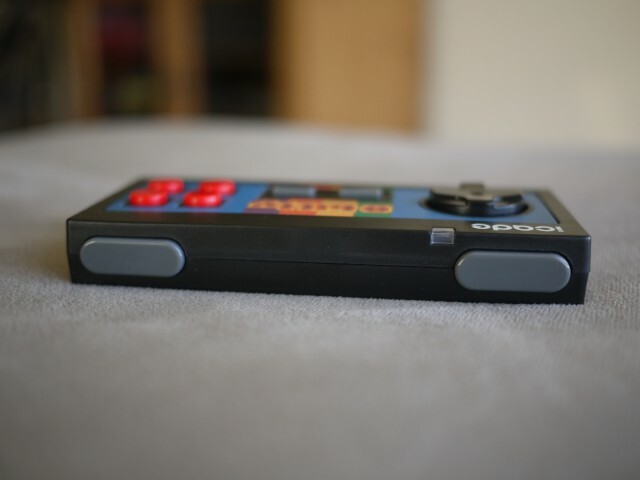 The smartphones’ smaller screens made it more difficult to see the game while using the iCade from afar, so I primarily used it with the iPad. It was nice to be able to prop the iPad on my coffee table and play a game from my couch without being restricted by any wires. 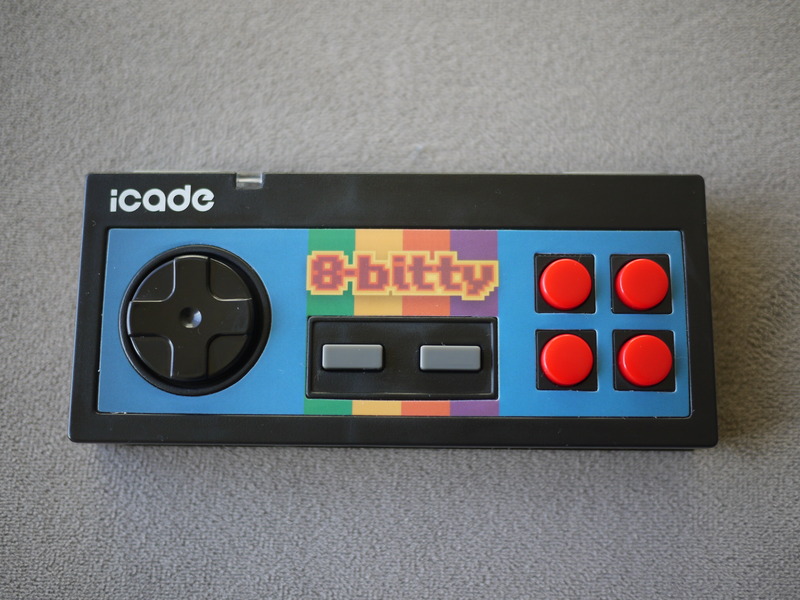 But there is one annoying feature about the iCade: The controller uses the wireless keyboard profile of your device, meaning that once the iCade is connected to your tablet or smartphone, your onscreen keyboard disappears. This wasn’t a huge issue while I was trying to play a game, but it was before and after. Without access to my onscreen keyboard, I couldn’t type to search for new games in iTunes or input my name for keeping track of high scores while connected to the iCade. ThinkGeek says to simply turn the controller off when you need to use the keyboard and then turn it on again to resume playing games. 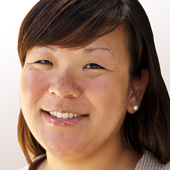 Though the re-pairing process is seamless and takes just a few seconds, it’s still disruptive. But the bigger issue is game support. According to iCade maker ThinkGeek, it supports more than 200 games, including Atari’s Greatest Hits, Namco Arcade and Arcade Jumper for iOS and MAME3droid for Android. But in my testing, I found that not all games work on all devices, and the way the various game actions are assigned to the controller doesn’t always make for comfortable game play. For example, Atari’s Greatest Hits, which contains such classics as Centipede and Pong Sports, only works with the iCade on the iPad and not the iPhone. I found this to be the case with most games. Again, the iPhone’s smaller screen doesn’t make it as optimal for game play as the iPad, but it would still be nice to have that option. 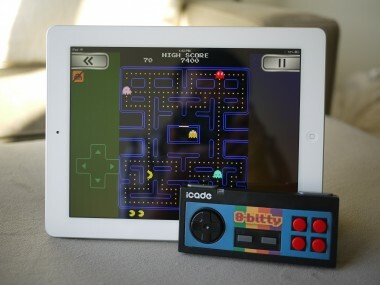 ThinkGeek says there is software available to developers who want to add support for iCade to their games. Temple Run is one of the more recent titles to work with the game controller. The popular adventure game, which involves hurdling obstacles and capturing treasure, worked well with the iCade, though part of the fun and challenge of the game is tilting your device and swiping the screen to accomplish the same moves. If you want to switch back to the original touchscreen controls, you can do so without having to turn off the iCade. The controller was far more useful when playing one of my all-time favorites, Pac-Man. Part of the Namco Arcade series (and one of the few games that works on both the iPhone and iPad), I was able to more easily maneuver Pac-Man around the maze using the iCade’s four-way directional pad than the one onscreen. Unfortunately, I can’t say the same for Galaga. The space shooter game was awkward to play based on how the game’s actions were assigned to the controller. To move the spaceship, you use the directional keypad, which makes sense. But to shoot, you have to use the left-side shoulder button right above it. I found this made it difficult to move and shoot at the same time using just my left hand. It would have been much better if the missile controller was assigned to the right shoulder button, and there’s no way to change this. 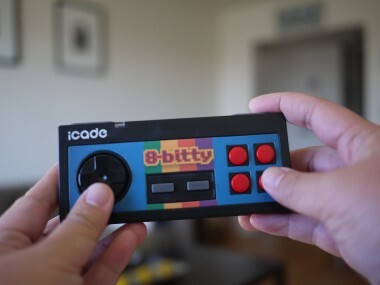 The iCade 8-bitty Retro Game Controller could be useful for playing games on smartphones and tablets, but I would hold off until it adds support for more titles and gives users the option to customize controls.